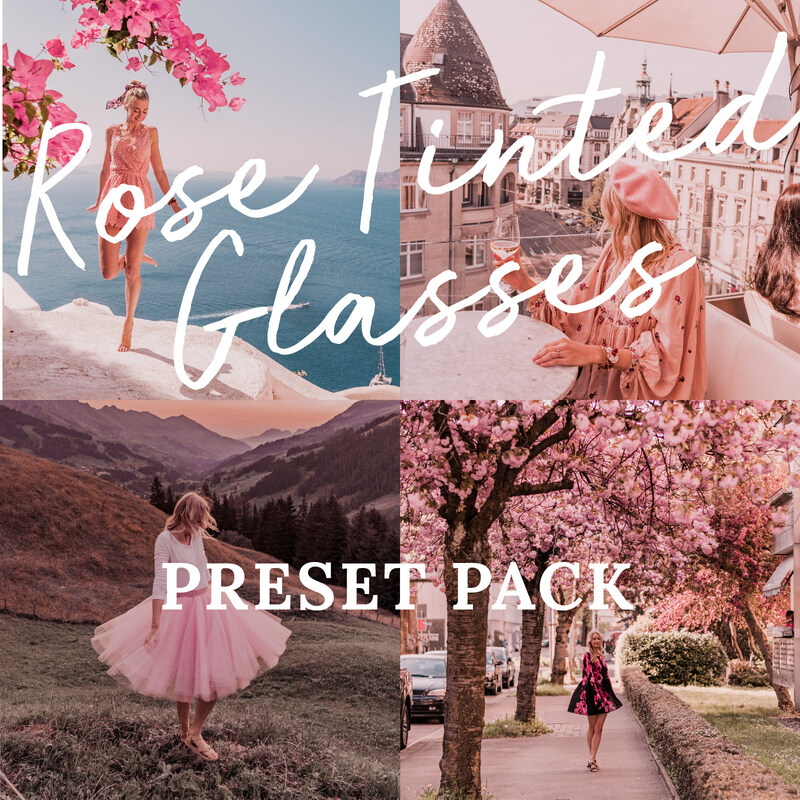 My Rose Tinted Glasses pink preset pack is made up of 4 unique Lightroom presets, which add a pink dreamy feel to photos with the click of a button.This pack is my most versatile preset pack and works well with different seasons, locations and lighting. 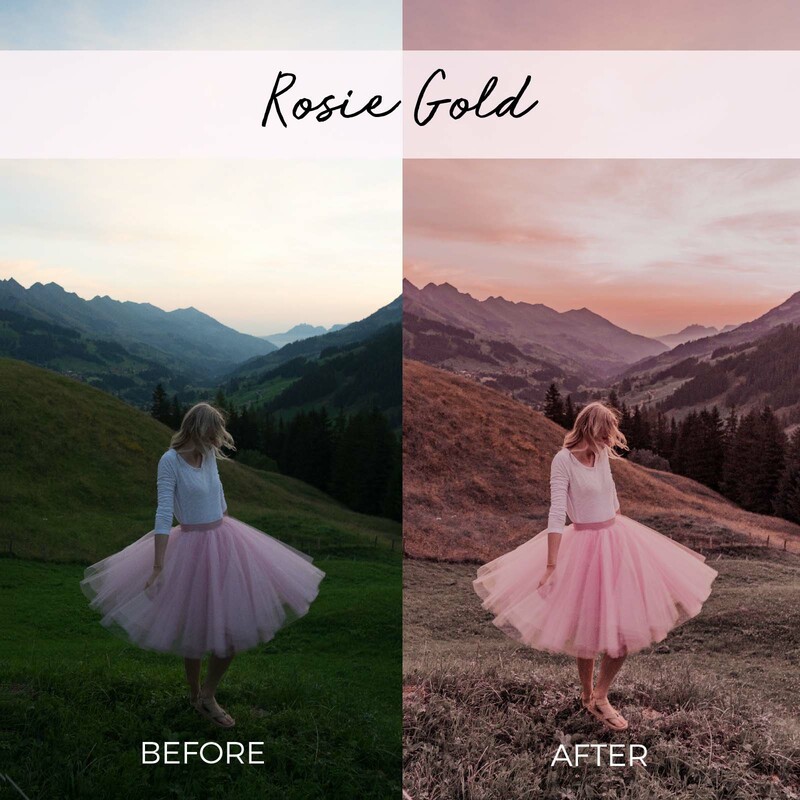 Each of my presets has been developed over time to be versatile and easy to use. For more detailed information please see the description below. Note: These presets are compatible with both jpeg and RAW files, for best results shoot in RAW. 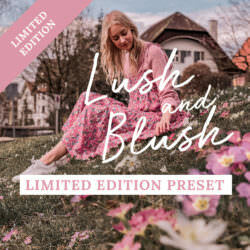 If you have any further questions please see the Presets FAQ page. 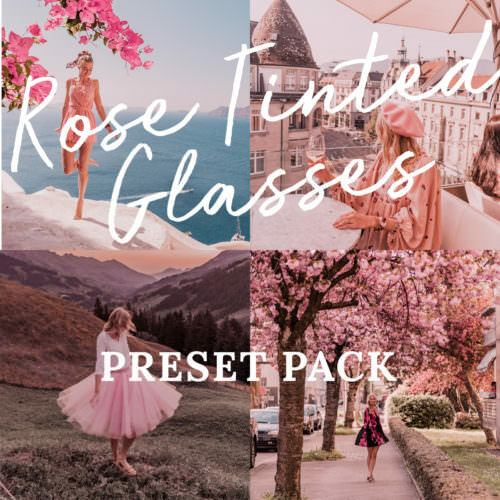 My Rose Tinted Glasses pink preset pack is made up of 4 unique Lightroom presets, which add a pink dreamy feel to photos with the click of a button. 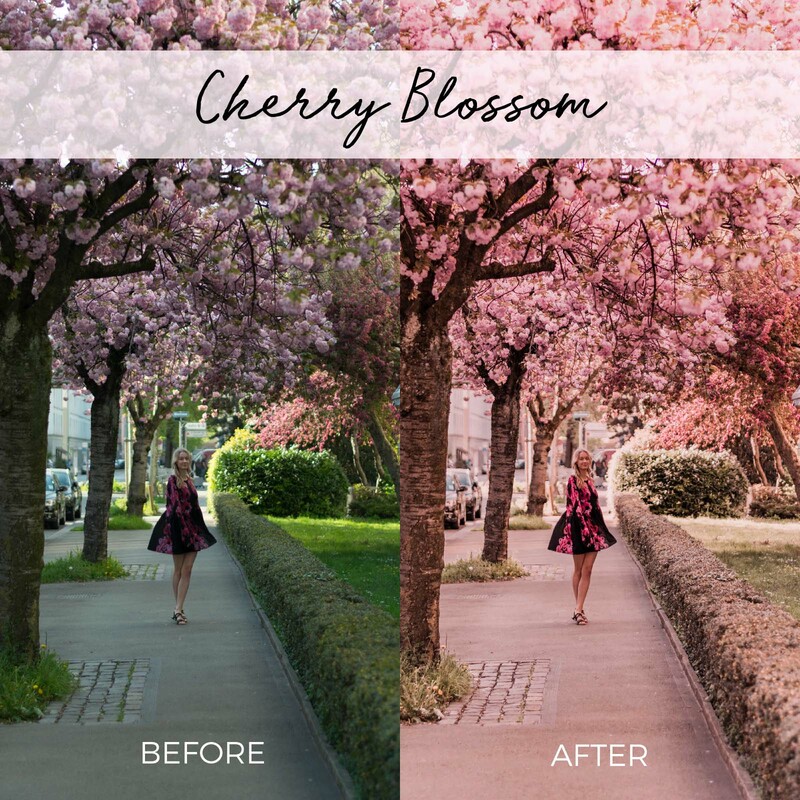 These presets work well with different seasons, locations and lighting. 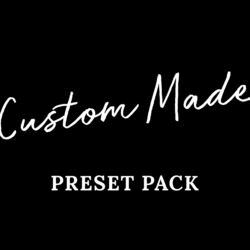 Each of my presets has been developed over time to be versatile and easy to use. 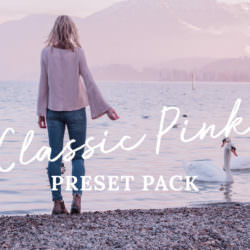 My pink preset pack comes with both desktop and mobile app compatible files. 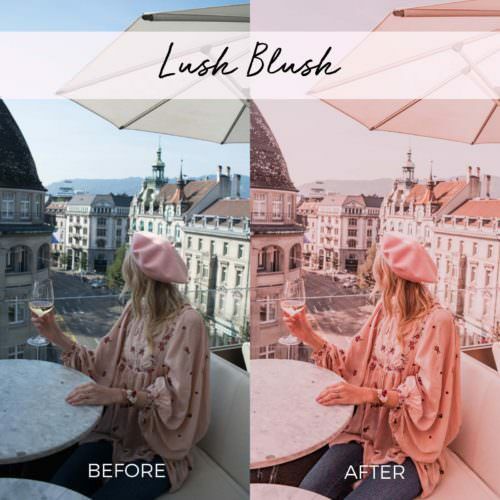 This means that you can edit on-the-go or if you prefer to stick to mobile only you can use the FREE Lightroom CC app to edit all of your photos with my signature dreamy pink look. 1. Lush Blush / A creamy pink preset that is perfect for indoor and city scenes. 2. Cherry Blossom / Created with flowers and gardens in mind this preset tones down greens and enhances floral colours. 3. 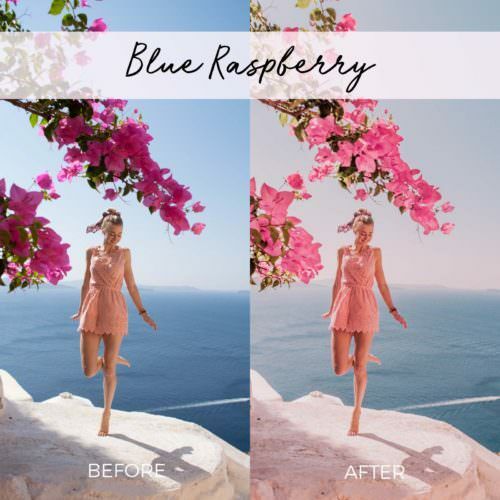 Blue Raspberry / Perfect for photos with blues and aquas like the sky or water – pink and aquas make a beautiful contrast. 4. Rosie Gold / For a soft vintage look, perfect for sunrise, sunset and any photo you want to add a little more mood to. 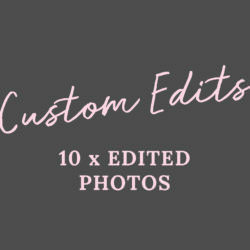 If you have any questions please see the Presets FAQ page.